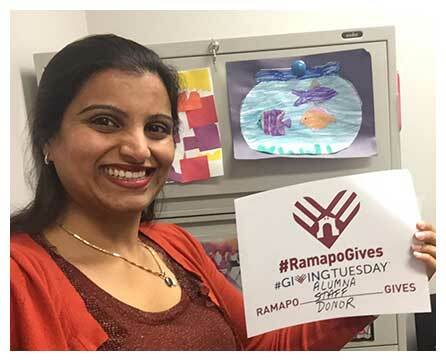 The Ramapo College Foundation joined #GivingTuesday, a global day of giving that harnesses the collective power of individuals, communities and organizations to encourage philanthropy and to celebrate generosity worldwide. Occurring this year on November 28, #GivingTuesday is held annually on the Tuesday after Thanksgiving and the widely recognized shopping events Black Friday and Cyber Monday to kick-off the holiday giving season by inspiring people to collaborate in improving their local communities and to give back in impactful ways to the charities and causes they support. Like most colleges and universities, tuition does not cover the true cost of the Ramapo experience. Philanthropy plays a critical role in the operation of the College and it begins with the Annual Fund. 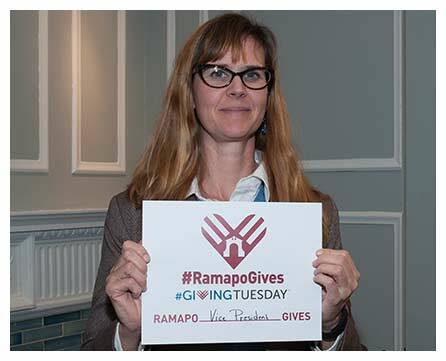 Gifts to the Annual Fund are important to Ramapo’s success because they enable the College to meet immediate needs to fund student scholarships, faculty research grants and special campus projects, each and every year. 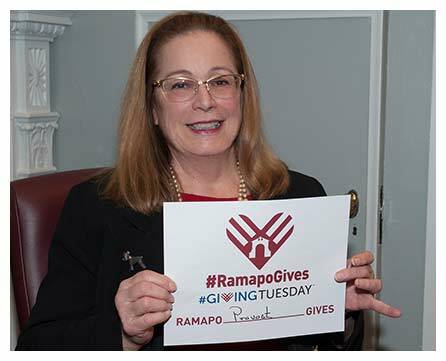 For more information, contact Cathleen Davey, Executive Director Foundation/ Vice President Institutional Advancement, at cdavey@ramapo.edu or (201) 684-7615.